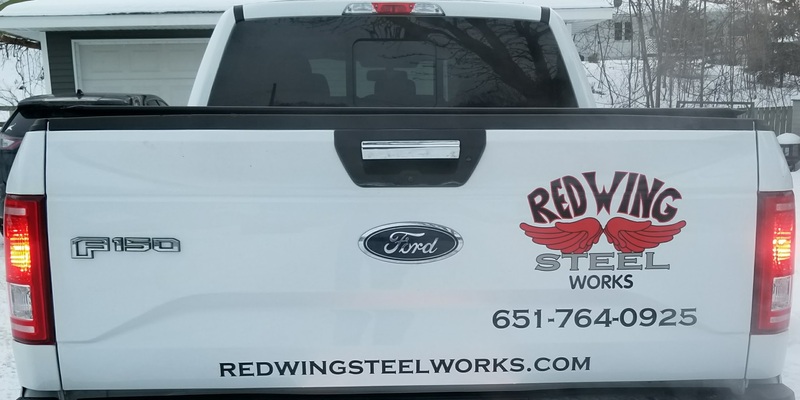 Red Wing Steel Works mobile welding is on-call for all your mobile/on-site welding and metal fabrication needs. I am a local welding service, but I also provide welding/repair services to the Minneapolis and St.Paul metro area as well as the greater Rochester, Minnesota areas (with no driving time costs). On-site welding repair is my specialty, but I also run a small welding shop for any fabrication or repair work as well. My welding capabilities include anything that can be welded with a stick welder or wire feed welder. Everything from mild steel, aluminum, stainless steel, cast iron, and even hard surfacing. I have a truck full of hand and power tools to get the job done right the first time. Between my industrial portable welder with a generator, my oxygen/acetylene torch, and my 25+ years of mobile welding and equipment repair experience, there isn’t much that can’t be done on-site or in the shop. I am AWS certified in 7018 all positions, FCAW all positions, and Stainless steel stick welding all positions. There is no need to worry about the quality of work that will be done. Not to mention, It will be me who shows up to do your repairs, not some un-motivated, under-skilled employee. You will also never be charged for driving time to or from the job.